I had so much fun creating this hat. It began with the idea of bottom ribbing travelling upwards in a geometric texture. 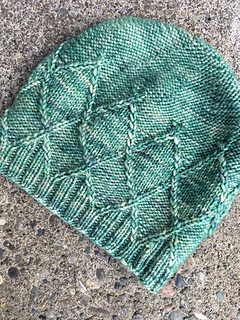 The idea wouldn’t leave me until I knitted it up, so over one weekend I had a rough draft of this hat. “Diamant” means diamond in Czech. 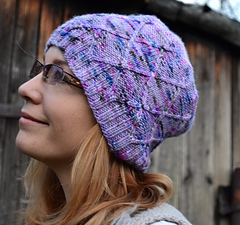 Named for the diamond-shaped geometric texture, this hat is designed to show off a single skein of speckled DK weight yarn, but it would look equally stunning in a solid colour. 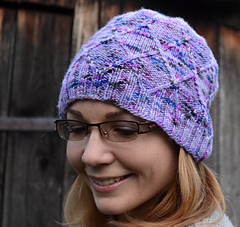 The texture is created using a combination of simple two-stitch cables and knit/purl stitches. The pattern gives instructions for both working with and without a cable needle. To make the most of the pattern use yarn with good stitch definition. 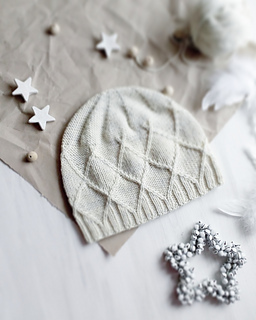 The smallest size will generally fit an older child, the medium an adult woman, and the large size will make a man’s beanie. But please check the recepient’s head circumeference, these are just guidelines. or whatever sizes give you correct gauge. Looking for yarn? 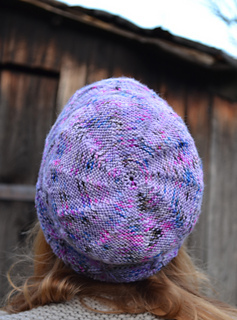 You can use any of Pipa Yarns DK weight bases for this hat. Save time, make a swatch! Návod je dostupný také v češtině. Pokud hledáte přízi na upletení této čepice, lze použít všechny příze Pipa Yarns kategorie DK.